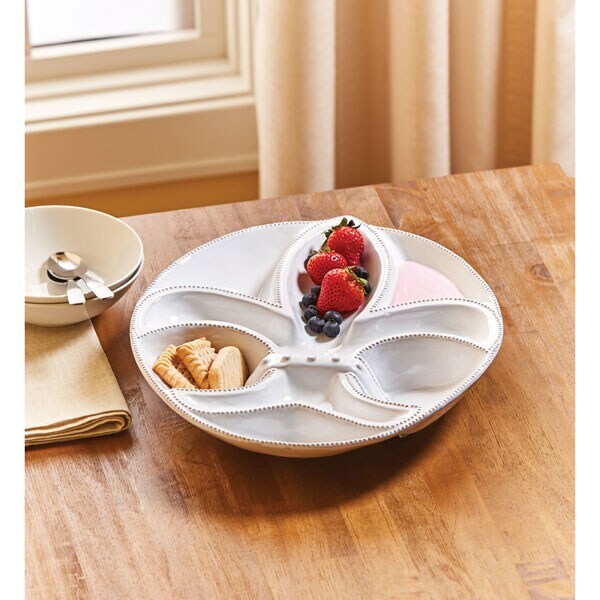 A trés magnifique way to serve hors d'oeuvres and petit fours - or nuts, Chex Mix and candies. Borrowing the royal emblem of France, milk-glazed terra-cotta platter has seven sections with beaded edges. 12 ½" diameter. Hand washing recommended.